31st March 2019 — Singapore, Peoplewave are very pleased to announce a long-term incentive programme for buyers of the PPL digital token. In an effort to further engage our PPL community, and as a token of our appreciation, we would like to further reward those who are willing to stay with our project for the longer term by providing an opportunity for you to earn significantly more PPL, simply by HODLing (“holding”)your PPL. The PPL HODL Deposit Programme is designed for those who wish to hold onto their PPL for at least the next 2 years. In return, we will provide a 50% bonus PPL to your deposit when the program is complete. Over the next 2 years, the Peoplewave project will progress and expand globally. PPL will be an integral part of our anticipated success. For those who share our vision, we gladly offer you tremendous PPL upside with the PPL HODL Deposit Programme. The program will be capped at 10,000,000 PPL in total. A minimum deposit of 500,000 PPL is required. A maximum of 2,000,000 PPL per depositor. 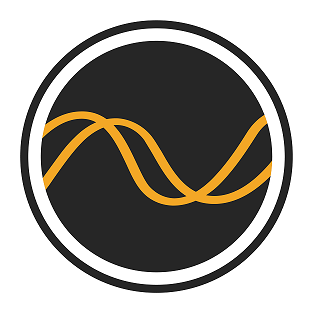 Your deposit will be transferred to a Peoplewave controlled wallet. You deposit your nominated amount with us. You will be allocated 150% of your deposit to be paid back to you in full after 24 months. On the 13 month, you will receive 1/12 of your allocation. Every month thereafter, you will continue to receive 1/12 of your allocation. On the 24th month, you will have received your total allocation, which will be 150% of your original deposit with us. 6. At any time you can exit the program before the 2 years is complete. In such case, you will receive your original PPL deposit back, but no bonus PPL will be provided. Should you have received more than your original amount before opting out of the program, you will no longer receive any more PPL thereafter. Over the next 2 years and beyond, it is the intention of Peoplewave to continually work on improving the value and price structure of PPL. This includes listing on multiple exchanges, providing liquidity as much as possible, and implementing programs which broaden the buyer base as well as improving the value and price structure of our token. For those interested in participating, or if you have any questions regarding the project, please email us at PPLprograms@peoplewave.co. We will provide more details in the near future. Please note: The PPL HODL Deposit Programme will not be a regular offer made by Peoplewave. It is a one-time opportunity specifically designed to reward those early holders who wish to stay with us for the long term while our project progresses. Please note, if there is insufficient demand or the market dynamics change before 1st July 2019, Peoplewave reserves the right to amend or discontinue the programme.